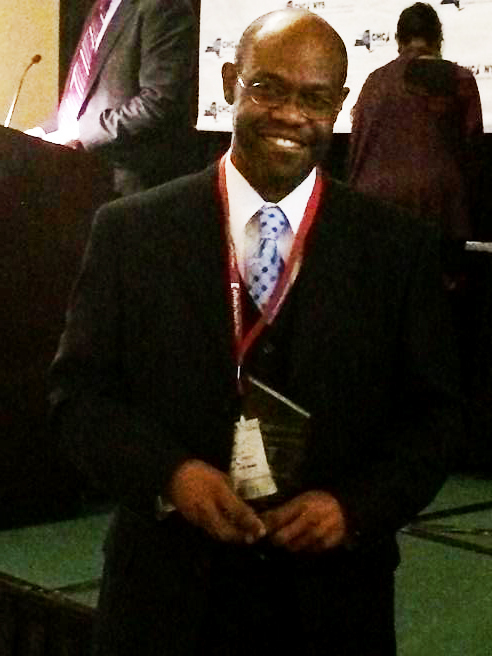 Bolton Landing, NY (October 20, 2015) – Dr. Eric Gayle, vice president for medical services and regional medical director, New York City, received the Dr. Jack Geiger Award on Monday, October 19, 2015, during the Community Health Care Association of New York State (CHCANYS) Statewide Conference and Clinical Forum Awards Dinner. The Dr. Jack Geiger Award honors someone who is a devoted champion to serving the medically underserved. Dr. Gayle oversees medical services for the Institute’s 11 New York City health centers, including the management of over 100 medical providers, 60 family medicine residents and dozens of medical students. Recent accomplishments include his clinical oversight of the expansion of the Institute’s Family Health Center of Harlem into a state-of-the-art facility and Teaching Health Center, and the start-up of the Stevenson Family Health Center in the Bronx. He has championed the development of a team-based health care model, promoting the integration of care coordinators into the Institute’s clinical operations. He is also an avid supporter of efforts to integrate primary care and behavioral health services in our practices. Dr. Gayle came to New York City from Jamaica to attend the Sophie Davis School of Biomedical Education at the City College of New York, where he completed a combined BS/MD program and completed his medical degree at Mount Sinai Medical School. He began his career in Family Medicine in 1996 at the Institute’s Beth Israel Residency in Urban Family Practice, where he was chief resident. After completing his training, Dr. Gayle joined the Institute’s Parkchester Family Practice in the Bronx, and soon became the center’s medical director. In 2006, he became Regional Medical Director for the Bronx, and later became the New York City Regional Medical Director. Dr. Gayle frequently donates his time to mentor students who are interested in careers in medicine.